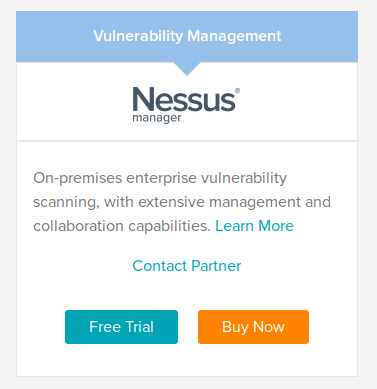 To request trial version of Nessus Manager press “Free Trial” button at How to Buy page and fill out the form with your contact information. 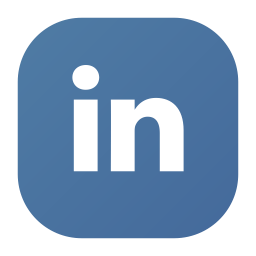 In the form you should specify your First Name*, Last Name*, Job Role*, Work Email*, Phone Number*, Company Name*, Address*, City*, Country*, State/Province, Customer Type*, Requested Product Size* (from 128 IPs to 1 mln IPs). Fields with asterisks (*) are mandatory. Available customer types: End User or Reseller/Consultant/VAD. Filled the form? Now you should wait for ~1 business day. 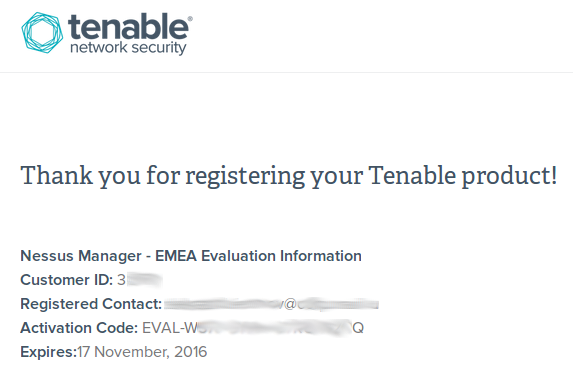 A Tenable representative will contact you shortly and send you a link to another registration form. For second registration form you will need your Customer ID. 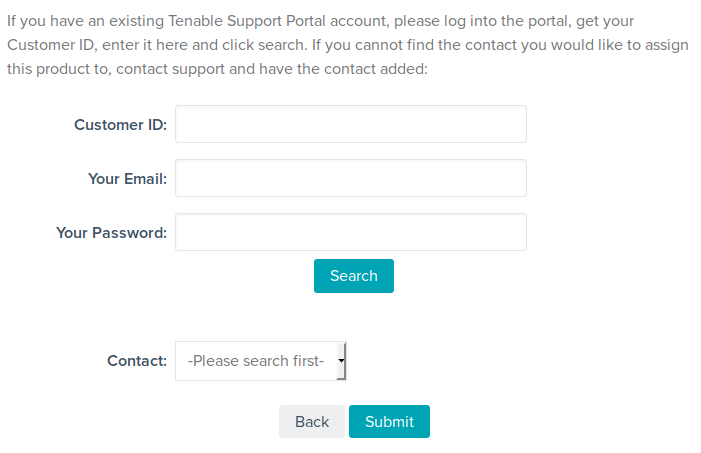 If you have already purchased something from Tenable, you should have Tenable Support Portal account. You can find Customer ID in upper-right corner of Support Portal main page. Otherwise, contact support. 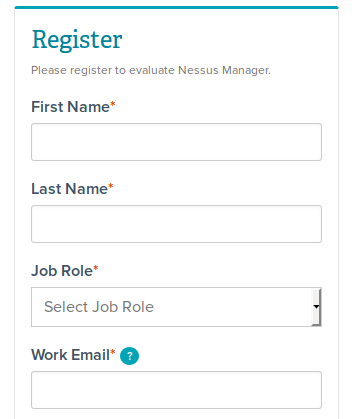 What data about Nessus Manager evaluation you will get after your registration process is finished? 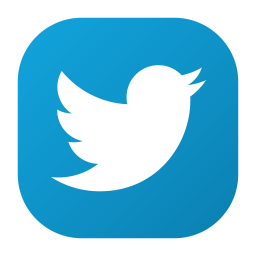 Customer ID, Registered Contact, Activation Code. Expiration Date. By default trial period lasts 2 weeks. 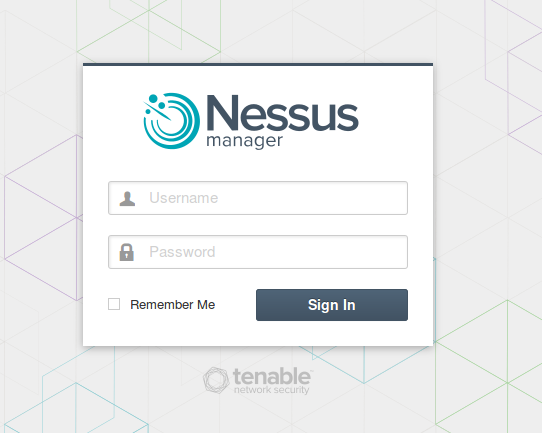 To install Nessus Manager you will need only the Activation Code. 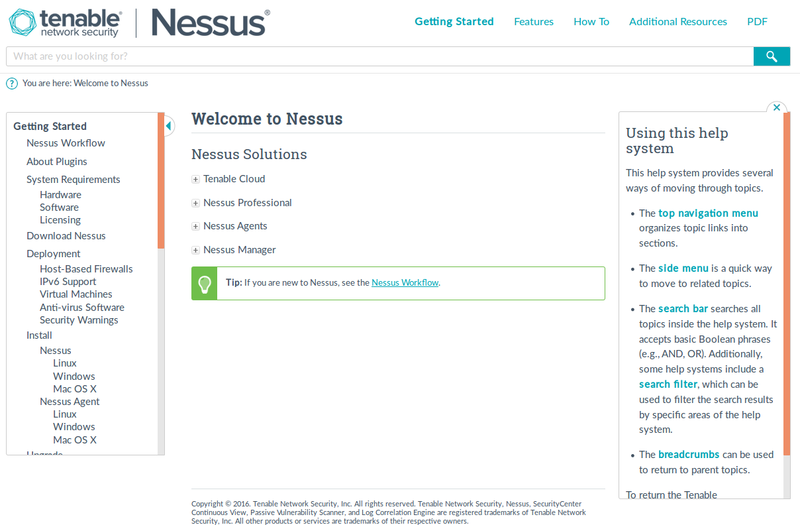 Installation process for Nessus Manager looks exactly the same as for Nessus Home. You just need to input different activation code and another edition will be installed and configured. ноя 02 20:41:55 st91.i systemd: Started firewalld – dynamic firewall daemon. ноя 02 21:08:38 st91.i systemd: Stopped firewalld – dynamic firewall daemon. Input activation code, create Nessus administrator user. And here it is. Nessus Manager looks exactly the same as Nessus Professional edition. The only difference in settings tab. Here you can configure remote connected scanners and local agents. 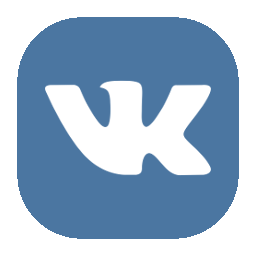 I created new group with name “Test Agents”. Now I can add new agents to this group. It’s easy. I just need to get an Nessus Agent installer from this special download page at Tenable website (it’s available even for unregistered users). Then install the agent on your target host manually, or using group policy, SCCM or third party software deployment application. During the installation you need to specify your Nessus Manager host, it’s port and the key. 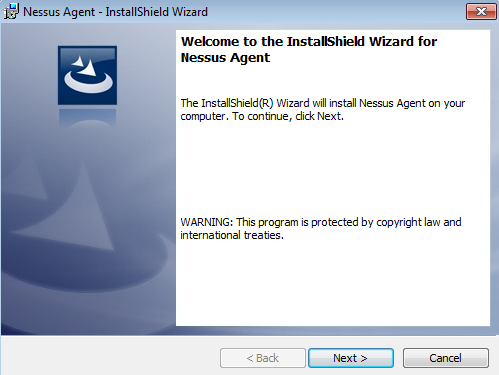 I will install Nessus Agent on a windows virtual machine. Nessus Agent weights about 30 megabytes. 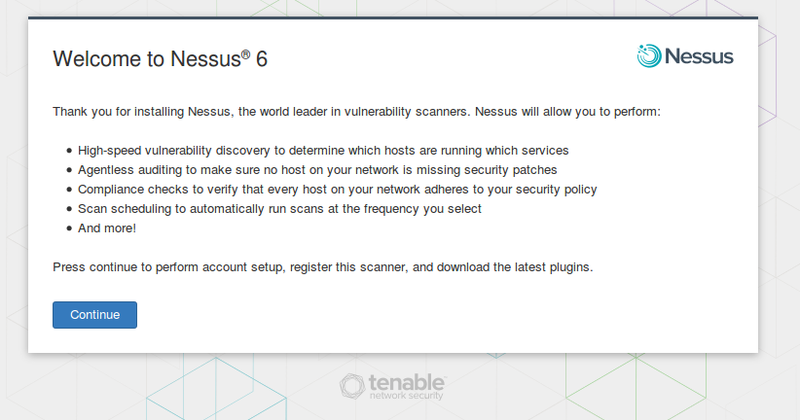 By default all Nessus Agent files will be installed to “C:\Program Files\Tenable\Nessus Agent”. As you can see files installed on the host are pretty familiar. The same files you can find you in any Nessus Scanner installation: nasl for plugins processing and nessuscli for console interface. It looks like Nessus Agent is a normal active Nessus Scanner but without graphical user interface and limited to assess only localhost. Soon after installation new agent will appear in my “Test Agent” group. Unlike Qualys Cloud agents, Tenable Agents don’t send all necessary information about host to the scanner automatically. They just establish the connection and make some registration procedures. 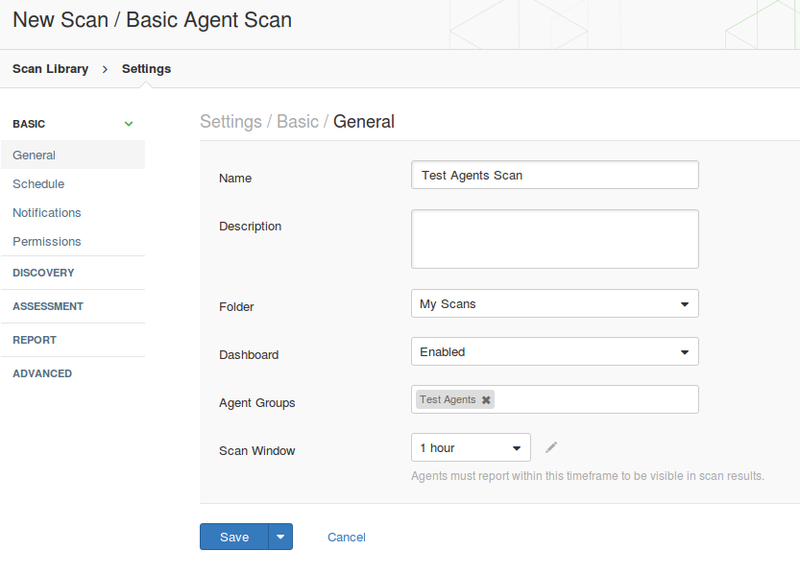 To assess the host with installed Nessus Agent you need to create a new scan and specify one of the templates for Agents: Advanced Agents Scan, Basic Agent Scan, Malware Scan, Policy Compliance Auditing and or SCAP/OVAL Agent Auditing. I want to figure out what vulnerabilities exist on my Windows host so I choose basic Agent Scan. As you can see, in scan settings you need to specify group of agents you need to asses; scan window – amount of time Nessus Manager will wait for the scan results from Nessus Agents; dashboards – feature available for Nessus Manager and Nessus Cloud, that makes possible to present scan results in form of beautiful diagrams end tables. 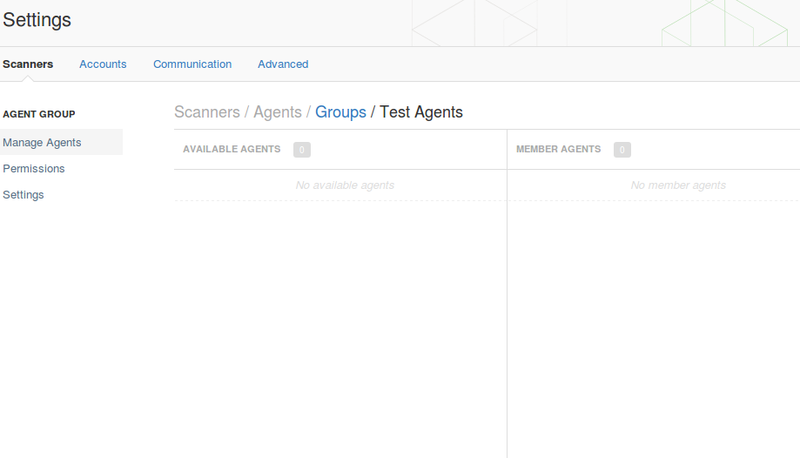 The only difference is that in Nessus Manager you can’t see scan results before the scan process is finished. Nessus Manager collects the results from the Nussus Agents and all the processing is going on the host. The scan results are the same you can expect from authenticated Windows scan. On the screenshot you can see several Microsoft, Adobe and Mozilla Firefox vulnerabilities. 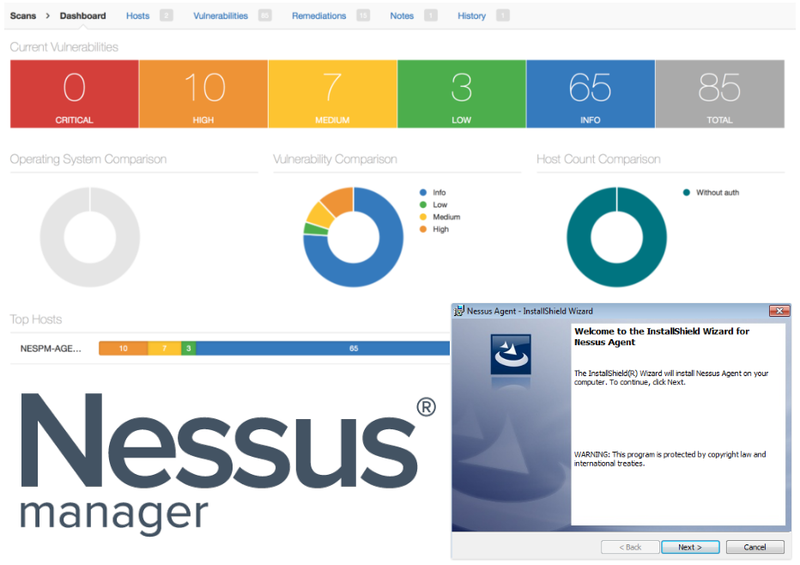 Nessus Manager dashboards contain information about current vulnerabilities, detected operating systems, criticality of founded vulnerabilities, top vulnerable hosts and most widespread vulnerabilities. 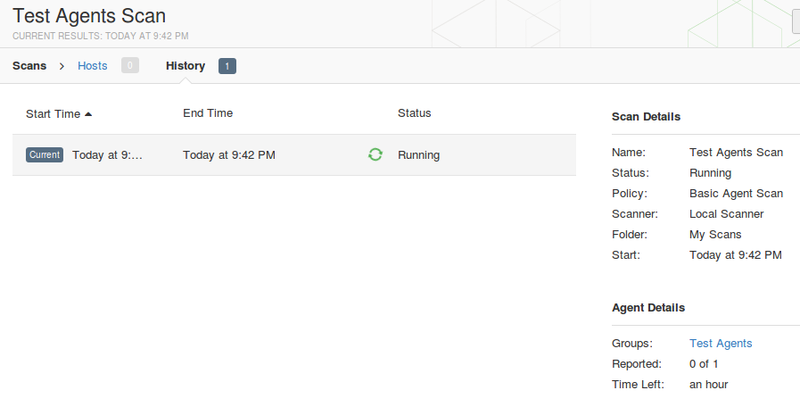 New dashboards in Nessus Cloud seem to be more informative, but this one also not bad. 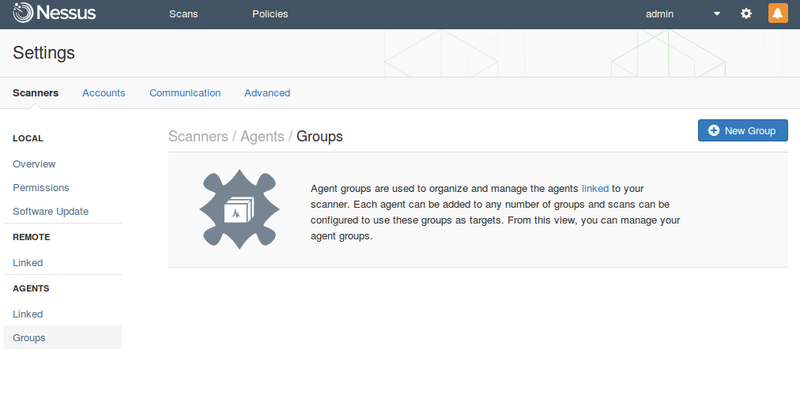 Unfortunately, I haven’t took dashboard screenshot before my trial period finished, so this picture from official “Endpoint Security with Nessus® Agents” article. What’s the difference in managing agented scans via API in Nessus Manager, comparing to managing active scans via API in Nessus Professional? Does Nessus Cloud scan reports use the same xml reports? 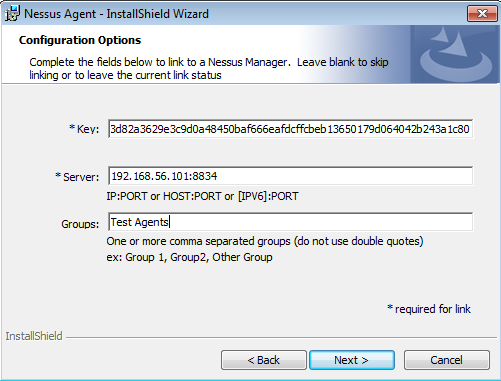 How does Nessus Manager scanning with linked Nessus Professional works? Hi, I would like to know, can we replicate the vendor name in against of the vulnerabilities found e.g. If vulnerability related to Java / oracle we get the vendor name respectively.